The suite’s kitchenette came with a fully stocked bar. I was perusing the options when the doorbell rang. I firmly ordered the butterflies in my stomach to take a hike. Two deep breaths and I’d pulled myself back into a semblance of calm and controlled. That control wavered precariously when I checked the door display. Valentin was in a tight T-shirt that hugged the muscles in his chest and loose pair of lounge pants. He was barefoot. I closed my eyes against a wave of desire mingled with unexpected bashfulness. Just because I was confident and happy with my body didn’t mean I was blind. Even on my best day, I wasn’t in his league. I swung open the door before self-doubt could plague me. He was here because he wanted to be, and that was enough. We shared a conspiratorial grin. “I trust you.” He said it quietly but it had the ring of truth—and felt deeper than just our talk about drinks. I studied the bottles as if my survival depended on it. Valentin’s staff had outdone themselves. Every liquor was a high-end brand that was difficult to find and incredibly expensive. I pulled out a whisky that routinely went for more than a fifty credits a glass. When I held it up, Valentin nodded his acceptance. I poured us each a couple fingers, neat, and handed him his glass. I lifted my own and breathed in the woodsy, smoky scent mixed with the sharp bite of alcohol. “To us,” Valentin toasted simply. “To us,” I echoed. I took a sip. Warm fire rolled down my throat and settled in my belly. I hummed my appreciation. This was a damn fine whisky. Valentin cleared his throat. “Shall we?” he asked with a wave toward the living room. He held his free hand to his heart. “It would be my honor,” he said solemnly, but his eyes danced with merriment. A playful Valentin was nearly irresistible. I could just crawl over there and—I cut off that line of thinking. I savored another sip of whisky while I decided on an opening gambit. I needed to know more about his advisors, but I was also desperately curious about his mother. “Damn. No wonder half the universe wants you dead.” War was a very lucrative business as long as you didn’t have to actually dirty your hands with the fighting and dying. Money was at the heart of the ongoing war between Quint and Kos. They both claimed a series of habitable planets that contained very rare, very valuable resources. They couched it in other terms, of course, because an ideological war was more popular than a mercenary one—the enemy is trying to destroy our way of life! And to a certain degree that was true. Quint citizens didn’t think an emperor was fit to rule, and Kos citizens didn’t think Quint’s corrupt sham of a democracy actually looked out for the people it was supposed to protect. Both were right, and wrong. And the Rogue Coalition had a pony in this race, too, because the end of the war—the true end, not some farce—would likely mean the end of our little band of misfits. Without the threat of war, people could return to their former homes and rebuild their lives. It was a bittersweet thought. “Who’s pushing back the hardest?” I asked. “Oskar, Hannah, and Asmo.” Military strategy, diplomatic relations, and domestic affairs. Oskar made sense—military strategy would lose significant importance once the war was over. Hannah should be happy, though, because diplomatic relations would reopen with Quint, increasing her value. Asmo’s domestic affairs position was more of a mixed bag. The end of the war would be good for the majority of the Kos Empire, except for those in positions of wealth and power. “Do they have good reasons?” I asked. “Speaking of, have you heard anything about Commander Adams?” Quint commander Tony Adams had attacked Arx because I’d rescued Valentin from him. When Adams was defeated by Valentin’s forces, he’d escaped in a shuttle and disappeared. It’d been weeks and he still hadn’t reappeared. I hoped he was dead, but I wasn’t holding my breath. Iona was Quint Confederacy’s capital city on Casseda Prime, but it didn’t surprise me that Valentin had people there. Just as I wouldn’t be surprised to learn Quint had people in Koan. My pulse sped up. If I’d known Adams was here, I could’ve been looking for him. Instead, Valentin had kept me in the dark. “Why did you wait to tell me?” I demanded. “I don’t know.” Valentin blew out a frustrated breath. “The messages didn’t have any additional information. Hell, one of my advisors could be faking them, but if so, they’re far better than anything I’ve seen before. I just don’t know. You have all the information I have.” There was no reproof in his tone despite the fact that I’d snapped at him. 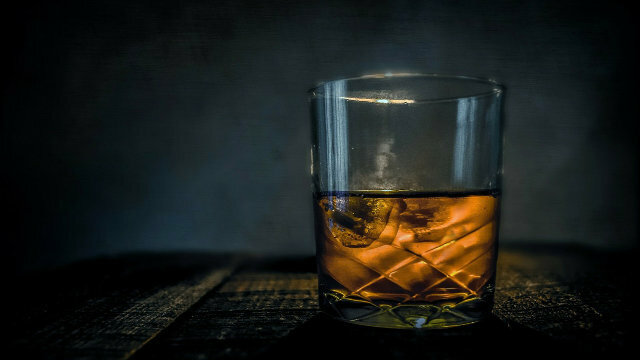 I took a sip of whisky and let the slow burn remind me to be patient. Valentin had promised to try to be more open with information, but people didn’t change immediately and breaking a lifelong habit was hard. And Koan was a city of twenty million people. Even if Valentin had told me about Adams earlier, I wouldn’t have found him today. I leaned forward but I could already tell the angle was going to be wrong, so I pressed a kiss to his cheek. His sentence ended on a groan as I swung myself into his lap, my legs straddling his. I sucked in a breath when I realized exactly how thin the layers of fabric between us really were. I was walking a dangerous, dangerous line. “Is this okay?” I asked. “Yes, but you still owe me a kiss,” he murmured. He gripped my hips and pulled me closer. The movement sent shivers of pleasure dancing through my system. He made a low, pleased sound, and his hands flexed but remained where they were. I leaned forward and pressed my lips to his. I kept the kiss light, exploring, building the tension. Valentin let me until I licked into his mouth. Then he buried a hand in my hair, tilted my head, and kissed me long and deep. By the time we came up for air, he was fully aroused and it was all I could do to stay still and not mindlessly rock against him. He pressed a kiss to the corner of my mouth, then nuzzled my jaw, slowing the pace. “You are amazing,” he whispered against my skin. “You’ve got my advisors running scared and you impressed my mother. In less than a day. You. Are. Amazing.” Each word was punctuated with a teasing kiss on my neck. “Keep going and maybe I’ll agree with you.” I tilted my head, giving him better access. I felt him smile before he obliged. He bit me gently and my arousal spiked. I slid my hand to the back of his head. His dark hair was short and soft, and I played with it for a moment before I pulled his head up to mine. “You’re pretty amazing yourself,” I murmured against his mouth. “No, she wouldn’t set off an alarm.” I frowned and connected to the ship’s systems, trying to get a visual. The warning came from the rear of the ship, but the cameras had limited visibility in that area and showed nothing out of place. A minute later, an attack warning screamed across the link, cut off halfway through as my connection to the ship went dead. What the hell was happening? I caught a flash of light and heard a distant boom as something large exploded in the distance. Dread churned in my gut as I unsuccessfully tried to reconnect with my ship. “That came from the direction of the spaceport,” Valentin said with alarm. His expression went distant then his face drained of color. He glanced at me, stricken. With a sinking heart, I already knew what he was going to say. Ah man, taking away her ship is like killing someone’s pet dog. 🛸 The villains are out there. P.S. Polaris Rising was fun, I’ve already preordered book 2. Thanks for mentioning book 2! Preordered as well!! I’m glad I read the comments and saw this! Just preordered book 2! I’ve been in a reading slump for a while now, so I just started reading these chapters in the past two days. Waiting for more is going to be so hard! Thanks for the post after your busy release week- wish I was closer to Austin but no FTL drives nearby, alcubi-wotsit or not! Thanks!! Enjoying every installment!! And very much enjoying Polaris as well!! Not her ship, and an interruption when things were getting steamy! Thanks for the installment, and another curve ball. 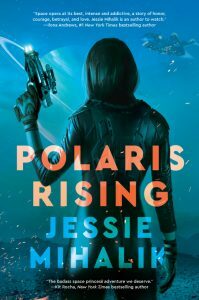 Polaris Rising was amazing and each chapter Queen’s Advantage is getting and better. If it continues as it is, can hardly wait for the completed product. Will certain pre-order. Samara will be really, really pissed. Now she is planet bound with the ship gone and in a sense is now beholden to Kos for everything. As we read in previous chapters, she will not be happy. You and Ilona have made Friday memorable. Thanks and Hugs. I am still reading Polaris Rising and immediately after I read this I read the same “I could be persuaded” line in that book Which made it three times in a row. If it hadn’t already been used there it would be fine here. Now it seems repetitive. Somebody blew up her ship? They clearly have a masochistic death wish. Also, Valentin is likely going to feel obligated to replace Invictia. Hold on, Invictia might not be heavily armored by ship standards, but in terms of man-portable weaponry? The kind of stuff that can one-shot Invictia has to be both military grade and not readily available. A tank, maybe, but there’s no way something like that didn’t leave evidence or can’t be tracked. Or something like a car/ truck bomb, but again, there’s no way it could gotten to Invictia without some sort of evidence of somebody getting it past security. Nooooo, not Invicta!!! 😐 She’s like a minor Character… Not even that minor. I LIKED that ship. Ok now someone has to die, just sayin’. OMG LOVE IT LOVE IT LOVE IT!!!!!! Polaris Rising is amazing I so love your writing style. You make the charters come alive and I feel like I am right there in the room watching them! Just so awesome! Keep doing what you doing and I’ll keep buying them! New fan via Ilona Andrews! I gobbled up Polaris Rising, then bought your other book, and joined your mailing list to discover you’re writing the sequel to the Queen’s Gambit! Am thrilled to pieces, except poor Invictia – gah, I hope the damage isn’t irreparable, but what a cliffhanger! Blowing up her ship is a rather personal move. Adams? So much conflicted feelings about this chapter, smug smile at first because Valentin and Samara… you know 😏 hahaha and then so much sadness, I liked that ship ! And Samara loved that ship too, it was special! Aaaaargh let’s find a punching ball. Lol I just had to! They’re so cute! And I hope they give hell to whoever interrupted them! Hey Jessie, am quite enjoying this one, thanks for doing another. Also, am three quarters through PR and loving it. Congrats! OMG. Read Polaris Rising, then re-read Queen’s Gambit… now I’m caught up on the serial and the suspense is mind-rending!!! This was wonderful! I’m so glad that Ilona Andrews mentioned your book Polaris Rising which I immediately bought and read and thoroughly enjoyed. I also purchased and read Queen’s Gambit right after that and enjoyed it. This is great. I love finding new authors whose style of writing resonates with me and you sure fit the bill. I’m so looking forward to reading the rest of this book. Another new, very enthusiastic fan via Ilona Andrews here! Loved, loved, loved Polaris Rising and Queen’s Gambit, and can’t wait for the next chapter in this one. :) And what a great pic of you at Barnes & Noble – congratulations!! I just like how Valentin’s face pales when he realizes it was Invictia – shows he knows Samara and has empathy for her loss. Not just pants feelings and mad that his security was breached (again)! I enjoyed PR so much I decided to check out the Audible version for a re-read and I’m really glad I did. I often have a hard time listening to female readers (which leaves out alot of my favorite books) but Emily Woo Zeller does an awesome job with your book. Her voices for Ada and Loch are perfect! Any plans to have her record the Queen’s Gambit series as audiobooks, too? I probably won’t turn TQG series into audiobooks because (right now) it doesn’t make sense financially. If that changes in the future, I would love to have her narrate, though!